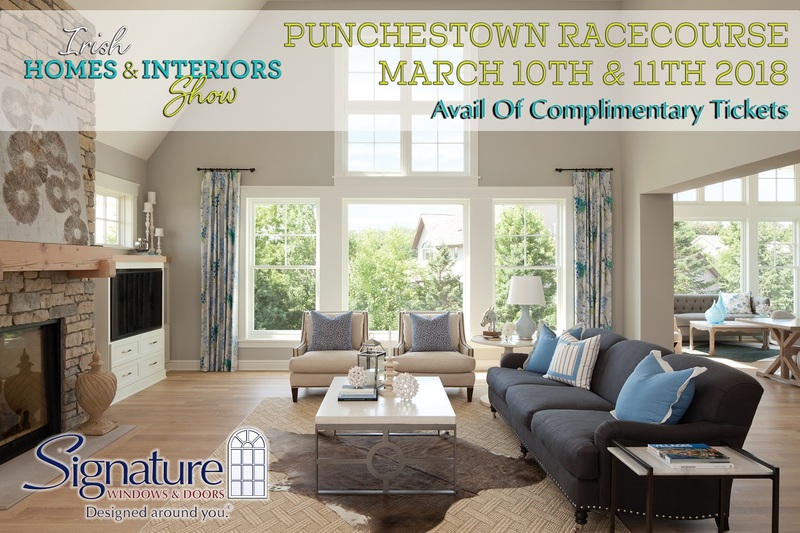 Signature Windows & Doors will be exhibiting at the Irish Homes & Interiors Show 2018 taking place from 10th-11th March in the Punchestown Racecourse, Co. Kildare. Our stand K4 will feature a full array of high-quality windows and doors from leading premium brands including our Traditional, Contemporary and Classic American ranges for your personalised window design and technical advice. Our customers can avail of a limited offer of complimentary tickets to visit our stand and talk to one of our experts for inspiration and advice on your new build, renovation or replacement project.